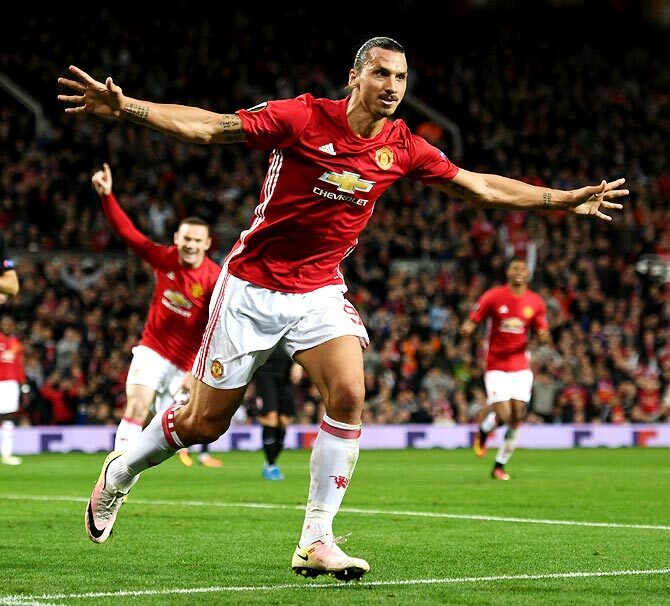 Manchester United striker Zlatan Ibrahimovic has undergone surgery on his damaged right knee and will make a full recovery, his agent Mino Raiola said on Tuesday. United's leading goal-scorer suffered knee ligament damage during the 2-1 Europa League quarter-final win over Anderlecht last month and has been ruled out for the rest of the season. The 35-year-old Swede, whose contract expires at the end of the season, travelled to the United States to undergo surgery at the University of Pittsburgh Medical Center and has started his rehabilitation. "Zlatan Ibrahimovic has undergone successful knee surgery. He will make a full recovery and has not suffered a career-ending injury," Raiola said in a statement. "Zlatan has started rehabilitation at UPMC and will remain under the care of Dr. Fu and Dr. Musahl throughout his recovery." Ibrahimovic had previously addressed the injury on Instagram and vowed to come back stronger, while United team mates wore his and defender Marcos Rojo's names on their training shirts prior to their 2-0 Premier League win over Burnley on April 23. United travel to Spain to face Celta Vigo in the first leg of their Europa League semi-final on Thursday.